1) KING is an American R&B group from Los Angeles, CA. 3) King is a Canadian black metal band. 4) King is a symphonic death metal band of Slovakia. 5) KING is a Japanese all-female hip-hop group. 6) KING is a Japanese rock band. 7) King is an American metal band. 8) King was an English punk rock band in 1978. 9) King is the creator of Vinland Radio (metal) and the associated podcast. 11) King is a Death/Black metal band from Medell?n, Colombia. 1) KING (American Soul trio) THE STORY began on an August afternoon in Los Angeles, or in a winter rehearsal session in Boston, or in April 1986 in Minneapolis, depending on how you define destiny. Twins Paris and Amber Strother began their musical journey by listening to favorites of their parents together from the crib, and once they were able to crawl found their way to the piano. Amber nurtured her gift for singing by absorbing everything musical around her, and in turn developed an intricate, magical tone and one-of-a-kind voice, as well as a unique skill for composition and songwriting. Through exploring a melting pot of artists, genres, musical ideas and movements, Paris found her own personal voice for the keys. The twins spent years unknowingly ripening their craft of writing together until they parted ways and left Minneapolis, with Amber to pursue studies in Chicago and Paris to enroll at music school in Boston where? A chance meeting with a young woman with a golden voice and incredible ear changed her life. Los Angeles native Anita Bias had fallen in love with music and art as a young girl, and spent years cultivating her voice, imaginative and vivid songwriting, and creative styling. Their Boston encounter stayed fresh in the minds of both, and when fate brought Paris to California and reunited them years later at a club in Los Angeles, they knew it was the start of something special. During Amber's first trip to LA and the living room session that followed, the three realized that they were born to create together. At the first show of the unofficial and then-unnamed band, they, along with the audience, were said to have seen fireworks in the air. The unique blend of voices, engaging harmony, and detailed songwriting the group exhibited came completely naturally to them. Amber, who had been since moved back to Minneapolis, sent for her belongings. KING was born. THE STORY EP is KING's debut project, wherein all songs are written by Paris, Amber, and Anita, and fully produced by Paris. THE STORY, SUPERNATURAL, and HEY are the result of a year's worth of loving and learning, experiencing and experimenting, and ultimately finding the music within themselves. 2) King was an England-based band which was formed in 1983 after the break-up of ska revivalists the Reluctant Stereotypes of which Paul King (vocals) was a member. The remainder of King comprised Tony Wall (bass), Mick Roberts (keyboards), James Lantsbery (guitar) and ex-Members Adrian Lillywhite (drums). They made their debut supporting the Mighty Wah! and signed to CBS Records. Despite extensive touring and a sizeable following, their first three singles and Steps In Time sold poorly. The break came late in 1984 when they supported Culture Club and reached a whole new teen audience. "Love And Pride" was released early next year, and made number 2 in the UK chart, while the album went to number 6. The hits continued throughout the year, most notably with the Top 10 hit, "Alone Without You", but King abruptly disbanded in 1986. Paul King pursued a solo career, releasing Joy in 1987, which at best gave him a minor UK hit with "I Know". The band will probably be remembered as much for their trademark spray-painted Dr. Martens boots and Paul King's affable personality than for their engaging pop songs. Paul King later became a video disc jockey for MTV. 4) KING is a symphonic death metal band from Slovakia. They have released two albums; 'Royal Metal', recorded in 2000 and released in 2002, and 'Libertarian', released in late 2003. 5) KING is a dance and vocal unit consisting of four girls: AYAKA (leader), MARIYA, AYANO and SAYA. They originally were named ???? ?Z when they formed the group in October 2000. (The members were all 12 or 13 at the time.) At that time MARI II was a member and SAYA had not yet joined. At the end of the year MARI II quit the group. When SAYA joined they renamed themselves COSMIC ANGELS. In May of 2002 they renamed themselves KING and became the hip-hop group they are today. The girls are regulars on the TV show ?????? ?21, have participated in several advertising campaigns and have released four singles, one album and four DVDs. They hail from the Tokyo area and are promoted by the talent agency ???????????. The Wikipedia entry about them where I gathered this information is here and their official homepage is here. 6) KING is a rock band hailing from Japan. RYO, the band's founder, named the band KING after his pet Chihuahua. King, the dog, occasionally makes appearances with the band and is featured on some of the bands goods; it is also the reason the ?i? in KING is often dotted with a paw-print and why paw prints tend to feature heavily in the designs for their goods and releases. KING's first live was on September 6, 2003. Originally, it was intended to be RYO's solo project, with session musicians as his back-up band. At that first live, the first of an ever expanding series of live sale only demos was released. These demos are all titled "??" ("wan," Japanese onomatopoeia for dog noises) multiplied by whatever volume number it is in the series. The band does not recognize these CDs are as part of their formal discography. TAKAFUMI (drums, ex-Laid, lychee) became a permanent member of the project in October of 2003 and in March of 2004 it was announced that KING has become a band, no longer RYO's project. Rounding out the line-up were Yoshiyuki (guitar, ex-Lapis Lazuli; he's also known as Row-Kun), Hideaki (guitar, ex-Prayer and Junichiro (bass, ex-Laid). They've since maintained the same line-up. KING put out their first proper album ?HEAVEN? on September 23, 2004 on an independent label. The following year they released ?Everything,? still on an independent label. Their third album, ?INNOVATOR,? followed in early 2006. In March of 2006, they finally released their first single, Starlit sky, on a more powerful (but still indies) label, AZ Entertainment. Starlit sky hit #6 on the Oricon indies chart and #83 overall. They released two more singles (Stand up, Darling Romeo and Juliet) and an album (CROSS WORLD) with AZ, but were dropped from the label sometime after the release of Darling. They also closed their fanclub and moved their website at that time. In 2008, they celebrated their fifth anniversary by releasing three singles (??????????? (hi no tama FIRE BOY), Never?Tattoo?Mind and INAZUMA THUNDER GIRL), one each month from September to November. In 2009 they began releasing demos again, four total with one track each. In January of this year they released their fifth album, ?? (oudou), which contains two of the anniversary singles and all of the recent demo tracks. Currently, their website can be found at http://www.king-world.net. 7) King is a metal band from Flint, Michigan. They were signed to Equal Vision Records in December 2008. 8) King was a short-lived punk rock band formed by Captain Sensible in 1978 between a period when his band The Damned split up and reformed. Their only recording was a John Peel Session. The King song "Anti Pope" was later recorded by The Damned after reforming. 9) King is the creator of Vinland Radio Podcast, a podcast dedicated to metal of all forms - from classic to now. 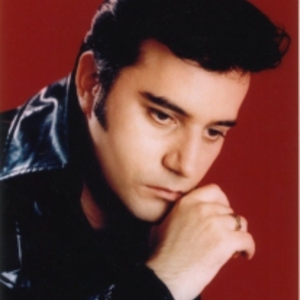 The Northern Irish Elvis soundalike should be tagged as The King. If you are here because of him, please fix your tags.